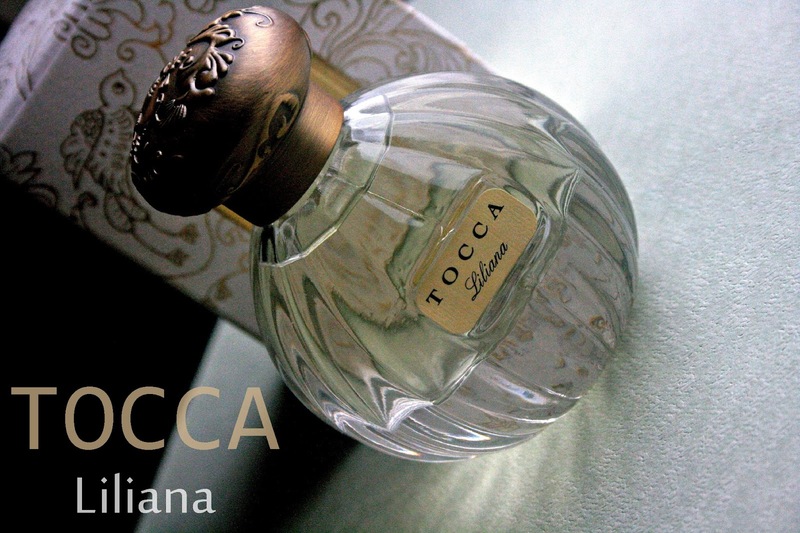 Tocca's newest Spring launch, Liliana ($68) is a lush floral with notes of Gardenia, White Peony, Watery Peach mixed in with Sandalwood and Musk. "Liliana conjures a reveler in the bloom of youth dancing the Charleston amidst flowing bottles of champagne and a spirited jazz band. The lowering sun casts a golden sparkle as an intoxicating bouquet of muguet, gardenia, and peony wafts from the gardens, filling the night with joie de vivre." First off is the bottle design of Tocca's scents - absolutely stunning! I love the intricate details on the caps that make the packaging so unique. The bottle feels extremely heavy, the weight of the cap adds to the overall weight of the glass bottle, but this is something that would sit pretty on anyone's vanity! Liliana is a luxurious floral, that starts off heavy and wears down beautifully into a fresh, alluring scent. I'm not a fan of anything musk, but Tocca seems to have captured it so well in the bottle that I don't mind when I get a whiff of it from the perfume once in a while. Liliana is the perfect Spring scent and one of those perfumes that I love to use while the weather transitions from winter to spring. If you ever spritz Liliana, don't be put off by how strong is it - just walk around for a bit and you'll be surprised at how well it settles down as time goes by. Also since it is an EDP, it lasts the whole day on me. I've been wearing it every single day for the past couple of weeks and don't find it to be cloying or too much, even as an everyday scent. Overall, I absolutely love it and if lush florals and uber feminine scents are something you'd go for, Liliana is a great choice! What do you think of Tocca's Liliana? I just got the rollerball of this scent and love it...have it in my purse all the time! After reading a few positive reviews, I am very interested in purchasing Liliana. I much prefer trying it on myself first, however! Would you say this is more of a fresh scent, heavy white floral scent, or otherwise? Does the peach note really punch through? What is the targeted age range for this scent? Are there any perfumes that you could compare this to? Sorry for so many questions; I live so far away from any place where I could sample this scent on myself :) Thanks! !